Melosi, Martin. Effluent America: Cities, Industry, Energy, and the Environment. 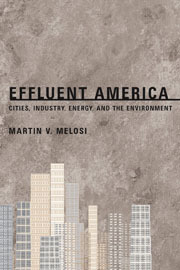 Melosi, Martin V. Effluent America: Cities, Industry, Energy, and the Environment. Pittsburgh: University of Pittsburgh Press, 2009.